Protection from wind and weather: thanks to its absolute weather protection, the Roseg HS Hooded Jacket Men will be an essential companion in your everyday life. The outer material is a high-quality Gore-Tex® 2.5-layer fabric with a 28,000 mm water column for waterproofing. A hood with a 2-point adjustment system also provides reliable protection from the elements. A selection of practical pockets allow you to carry all your essential items securely. The jacket even has an internal zipper pocket with a multimedia cable outlet so your personal sound track can accompany you at all times. Adjustable cuffs and an adjustable hem allow you to adapt the jacket to your needs. 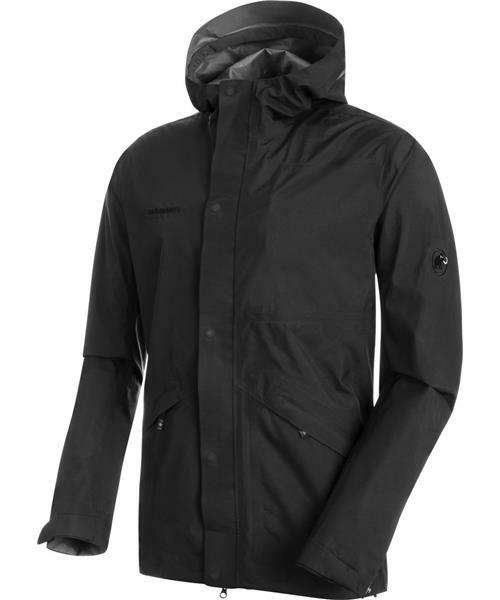 A multi-talented and practical garment that will also protect you from the weather: that's the Roseg HS Hooded Jacket Men.